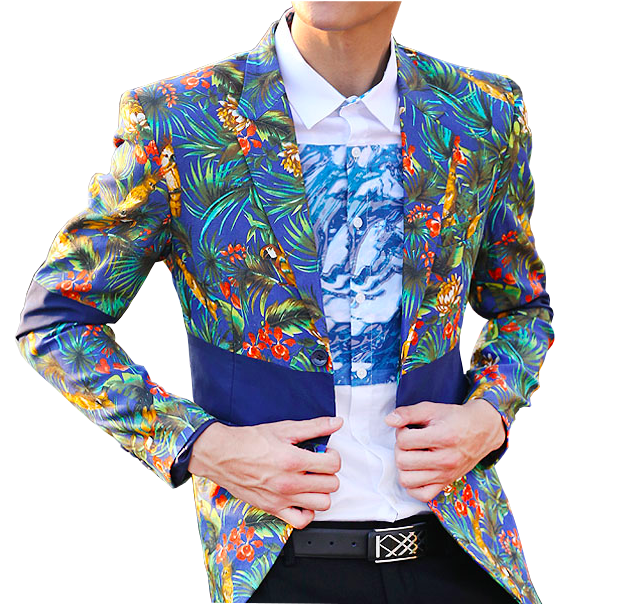 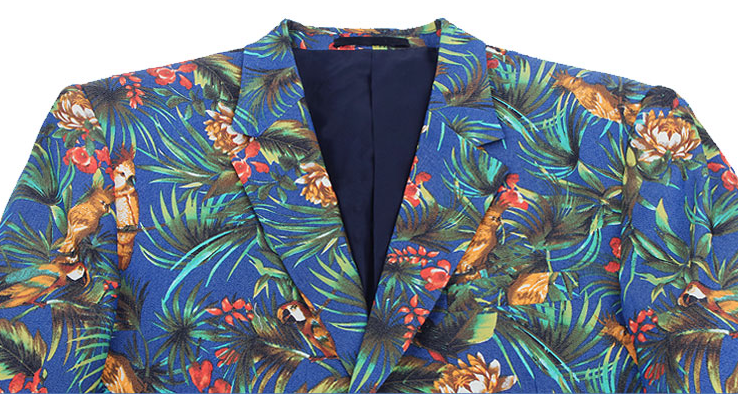 Expertly designed with multicolored floral and birds print against a cool blue background, this soft contour blazer for men is confident, high quality, and creative. 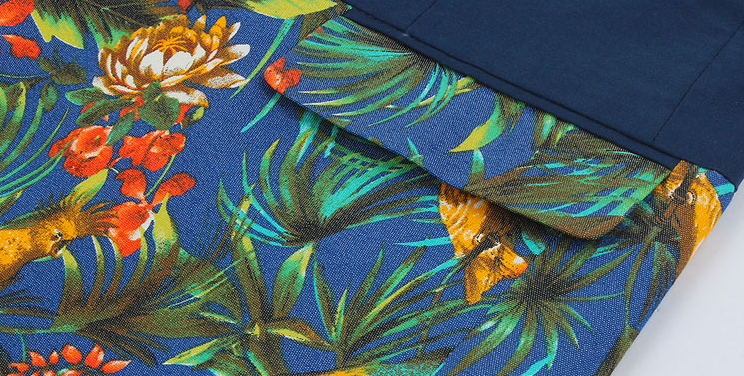 express your creative side with this cotton blend style. 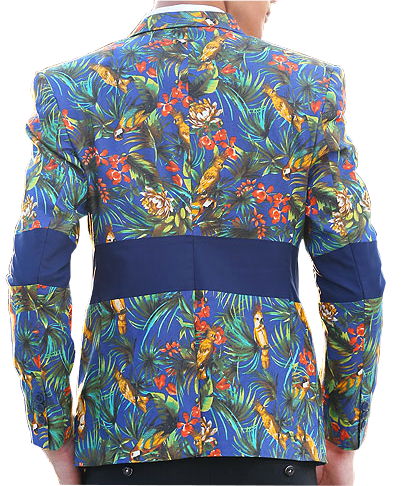 This blue floral mens summer blazer is vibrant, colorful, and has stylish art and pattern thats attractive, and truly hard to ignore. 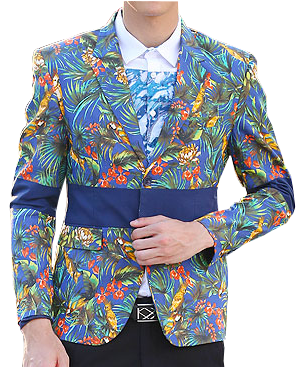 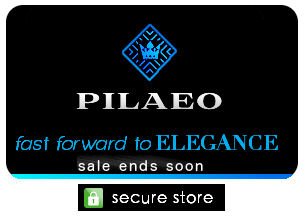 is vibrant, colorful, and has stylish art and pattern thats attractive, and truly hard to ignore.